Hunter is 21.5 months old. 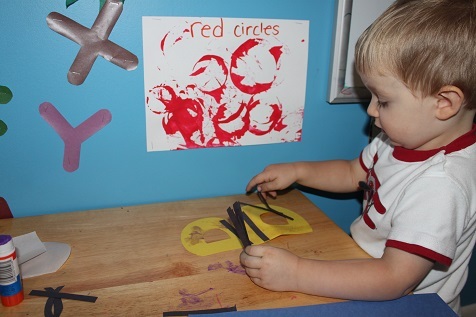 This week at Tot School we focused on the color orange, the letter B and fall. 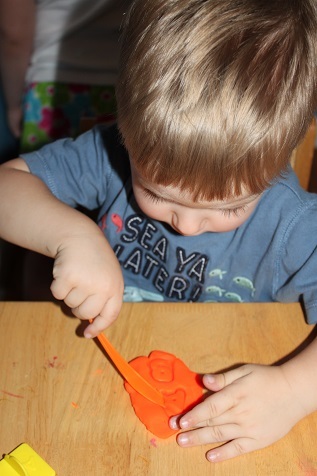 Hunter loved playing with the orange playdough. He used a little knife to cut it and some letters to stamp it. Mostly he just wanted to carry it around all day in his hands. 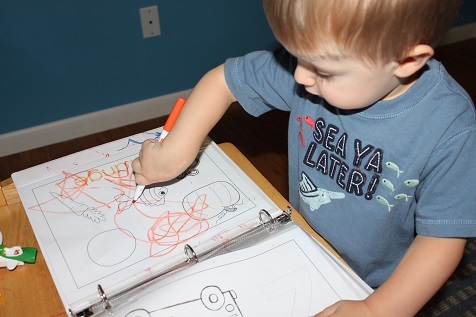 He colored in his calendar notebook using an orange dry erase marker (his pages are in page protectors). 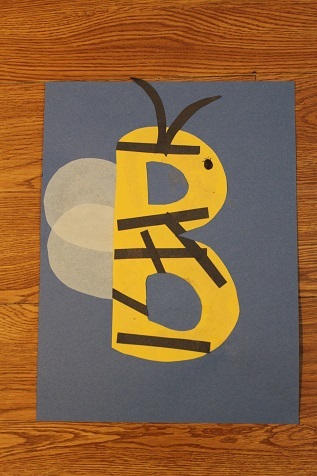 He made a Bumble Bee letter B, like the Bumble Bee B that Hailey made when she was a toddler. 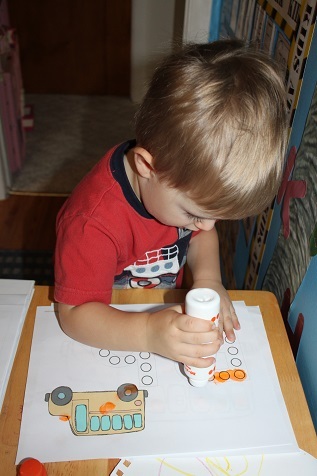 Hunter stamping the “B for Bus” using the printables from the Zoomin Movin Alphabet. 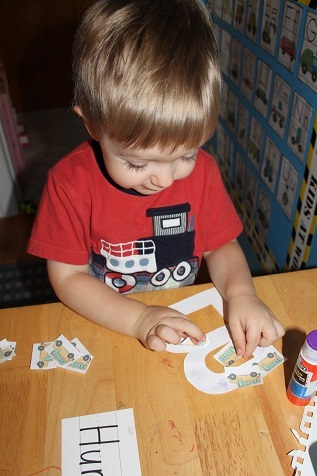 Gluing buses onto the letter B, also from the Zoomin Movin Alphabet. I am using Road Trip USA for Hailey, and Hunter enjoys doing it too. 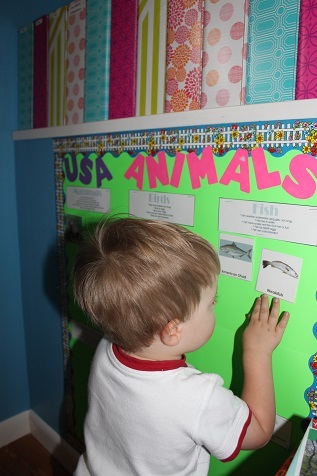 He was finding the fish on our USA Animals wall. 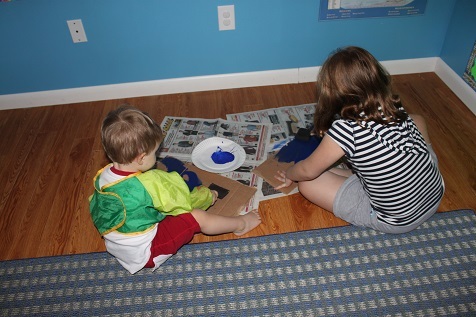 He also helped Hailey paint the water for a bridge project she was making. Hunter colored a tree for a fall tree craft that we made. So cute that he wanted to carry it around all day! 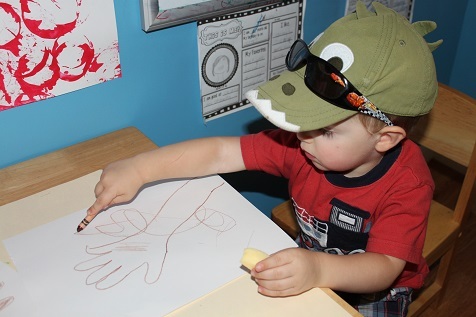 When we started tot school, and playing with playdough, Bo wanted to put it in his pocket. Love these sweet precious moments.